Although Dubai and the Middle East, in general, are usually warm, we understand that between the winter months there is a demand for heating, especially in areas near the water and restaurants located on high floors. We have a range of solutions for a variety of outlets as well as homes which are safe and cost-effective. Our range includes wall mounted, free standing and tabletop heaters in an array of wattages ensuring a product to suit your need. Our range is manufactured by world-renowned heating experts La Hacienda and come with a 12-month warranty and all required safety certification. The range can be found in most hardware stores and garden centers in the Northern Emirates, but we offer tailored solutions for those requiring our units in bulk. 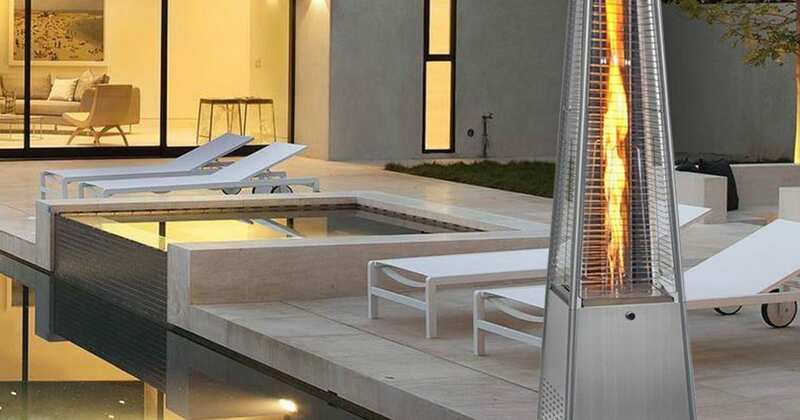 Pyramid heaters are the fashionable choice for chic outlets looking to add a touch of ambiance to their outdoor decor. Our pyramid heaters are gas powered and have a compartment where the gas cylinder is hidden from view, allowing only the quartz glass tube and outer casing to be seen. 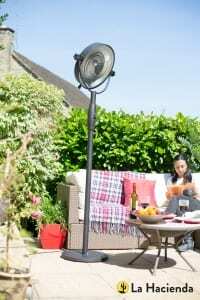 Electric patio heaters are an economically and environmentally sound way to extend your outdoor entertaining capabilities and keep your outdoor area warm and comfortable long after the summer season has passed. 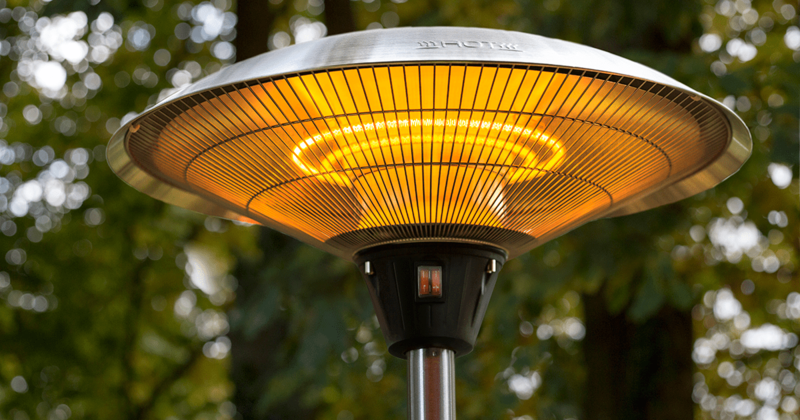 Aside from transforming your patio into a warm and welcoming environment, electric patio heaters offer countless other benefits that make them the perfect option for all of your outdoor heating needs. Electric patio heaters are perfect heating solutions for both homeowners and business owners. Be it a pool area, balcony, garage or workshop, or a an outdoor seating area at a pub, restaurant, or club, portable electric heaters will create an atmosphere that is just as comfortable and enjoyable as your indoor rooms. Advantages of electric heaters include; Cheaper to run than gas, more ergonomic, easier to store, last longer, better for the environment.